Album number 11 is not so much about reinvention as rebirth; its referential moments mirror Gillespie's own acknowledgements of past demons and regrets. It's a look back to move forward. It’s a remarkable achievement to have an album that boasts 10 potential hits from only 10 songs, but with ‘Chaosmosis’ nothing seems too out of its reach. There's enough on Chaosmosis to keep even the most casual fan occupied over the months ahead. As for those already worshipping at the altar of Primal Scream, prepare to be consecrated once more. Over the course of a 35-year career defined by excess, reinvention and the occasional brush with genius, Primal Scream have made all sorts of albums, but not one quite like this. Chaosmosis is a record ultra-charged by love, a deliberately lovable antidote to the hostile political environment that the U.K. finds itself in. It's also solid proof that Primal Scream are only getting better at blurring the lines between oddball and popular music, and in fact they pretty much erode it completely. The self-produced Chaosmosis moves along a groove curve, more synthesizer than guitar driven. This trade-in of instruments returns Primal Scream to its seminal rave-up album, the non-replicable Screamadelica. They’re still pushing on, still evolving their sound despite having at least one foot in the past and still obsessed with finding decent melodies. 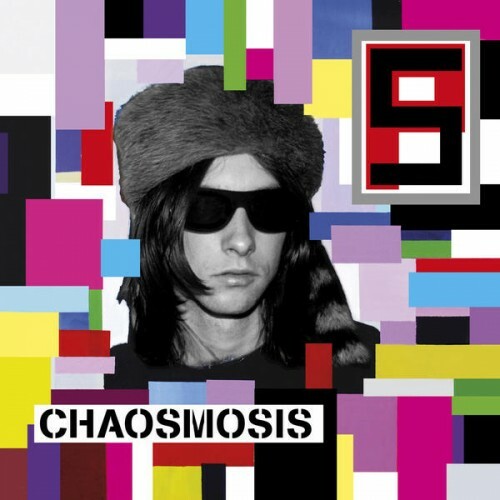 While Chaosmosis is truly a solid record, Primal Scream are almost cursed by the quality of their output. At best, this cracks their top five. 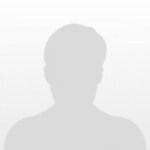 On my personal list, it hangs out toward the middle ­bottom. All favour songcraft over attitude as the Scream head towards their golden years with their dignity ever intact. Should the live set ever, um, struggle for a couple of roof-raising biggies, there are options here. They’re still on the side of the angels and fighting the good fight but for a band that once excelled at being extraordinary, Chaosmosis is, occasionally, too ordinary. Chaosmosis has its moments, but it sure is patchy. It's a shame Primal Scream weren't able to execute an entire album of contemporary pop songs — that could have been their fourth renaissance. But when you've been rebelling against the confines of music for three-plus decades, it's hard to all of a sudden play it safe. The bracing, sometimes violent collision of rock ‘n’ roll and dance music that’s powered Primal Scream’s best work has been melted down here into mercurial droplets—shiny and radiant, to be sure, but ultimately non-descript. Coherence is not this album’s strong point, then, but it all hangs together – just. Compared to some of Primal Scream’s bold ventures in the past, it may be a bit lightweight, but it’s full of effervescent appeal. Chaosmosis has a crossover sheen to it, which means it’s too clean-scrubbed for its own good, but it still doesn’t feel like anything else in 2016. If the last four tracks didn’t tail off in quality as much, we could have been looking at a genuinely great record that might have thrust the band back into something of a second coming (though they never really left). As it is, it is an impressive effort, but may have been even better as an EP. Chaosmosis, though full of small pleasures, will undoubtedly go down as a minor work in the Scream discography. Primal Scream’s best records dissolved genres together like potions; Chaosmosis seems happy just to ride out the groove. Chaosmosis finds the band scaling back their predecessor, narrowing their vistas so drastically it often seems as if the group cobbled it together on an old Casio. Even for the most resilient artists, the well of reinvention eventually runs dry. Although there's not real adventure in this chaosmosis, there is some energy left to save it from vanishing. This album's fine, I didn't mind it. It's nothing special really but I wouldn't call it bad. The vocal performances and song writing need work in a lot of places, the production is solid, there are few catchy hooks, overall, this album is harmless, nothing really stuck with me, it didn't piss me off or anything, it's fine. Purchasing Chaosmosis from Amazon helps support Album of the Year. Or consider a donation?